Springtime temperatures means that more and more motorcycle riders are dusting off their bikes and hitting the road for the first time in months — or are climbing on one for the first time ever. All new riders should know that accidents can happen to anyone, so they should always take a safety first approach to their ride. There are more than 54 million traffic-related lawsuits in the U.S. each year, and many of these are because of motorcycle accidents. Here are three essential safety tips for first-time riders. The first thing any new rider should do is find and take a motorcycle rider’s safety course. Even after a rider acquires a license, it’s important to take an additional course just to be more aware of safety risks and how to protect yourself from an accident or an injury. There are already 31 million injuries that occur in the U.S. each year that are severe enough to require a doctor’s attention. One of the reasons motorcycle crashes result in personal injury cases is that motorcycle accident injuries can be very severe. There is no hard covering to protect the rider like a passenger in a car might be protected. This is why protective gear is so important. Riders should wear over-the-ankle footwear like boots and wear leather coverings over their clothing and skin to protect from road rash. Additionally, riders are 40% more likely to suffer a fatal head injury when they aren’t wearing one — so wearing a Department of Transportation approved helmet is a safe precaution. 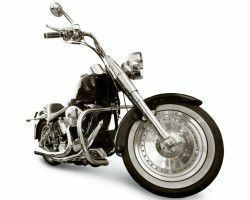 One of the reasons that motorcycle accidents result in personal injury cases is that they are often caused by inattentive drivers. This is why one of the best safety precautions a rider can take is to ride defensively. Slow down at intersections and always follow traffic laws, no matter what. Avoid riding in inclement weather when roads might be slick and visibility low. Most personal injury cases are resolved out of court — only 4% to 5% of them proceed to court. If you’ve been injured in an accident, it might be best to find an experienced motorcycle accident lawyer.